Almost two years ago Matt Cutts released a Google Webmaster video discussing the impact of social signals on organic SEO results, confirming that social signals do affect keyword rankings to a certain degree. The initial reaction to this news was a scramble to social networks by internet marketers and agencies, claiming as many social media profiles as possible and pushing clients towards social whenever the opportunity arose. So much so, that we’re always asked about the impact of social media on SEO campaigns and whether or not our clients should set up profiles on Twitter, Facebook, LinkedIn and Google+. Despite the initial rush, agencies and clients are still trying to figure out how much of a role a social signal actually plays in organic SEO ranking and despite the high number of blog posts and studies on the on the topic not one has yielded any concrete results. Not all SEOs believe that social shares impact search results in the same way high quality link building could, something that Matt Cutts confirmed at SMX Advanced in July 2012 when he announced that “links are still, for the foreseeable future, going to be a more powerful signal for search rankings than social signals”. However there are other SEO agencies that believe social signals have a direct impact on organic search rankings. Specifically, the more likes and shares your website has, the better it will perform in organic search as a result. We don’t believe that this is necessarily the case despite recommending clients start building a social media presence. We believe the connection between social signals and better rankings at this time is purely correlation. Understanding the difference between causation and correlation is important when reading any studies that try to show the effect of social signals on keyword rankings. Correlation between two data sets shows that there is a relationship between the two; however it does not say that one causes the other. The data available to SEO’s can show a great deal of correlation between social metrics and the performance of a website in search engines however this data cannot provide a definite answer on one causing the other. The website has a strong social profile which triggers another search signal due to this exposure (such as naturally building inbound links) which as a result, leading to good rankings. All of these scenarios could be true by looking at the correlation between social signals and search engine position which prevents us from making a conclusive statement on how social signals impact search engine performance. One of the scenarios above suggests the potential for indirect ranking improvements from social sharing. This is where some of the real value in social media can be seen and is the reason we promote social media presence to our clients. There is no doubt that Social media activity increases brand and website awareness, this can’t be a bad thing. Building up an audience on one of the many communities available has become standard marketing practice and opens up the opportunity for potential customers to find a company through an additional channel. It also creates the potential to develop partnerships with others, leading to additional marketing channels and exposure. This kind of promotion and awareness is likely to lead to people sharing content and linking to the original website over time, which is exactly the kind of natural link profile Google promotes. With these natural and long standing links in place, a website will start to gain traction in search engines and could see improved keyword positions over time as an indirect result of a social strategy. Matt Cutts has previously mentioned that links are a far more powerful signal for search rankings than social signals for the foreseeable future but the other aspect of this is that the web is becoming increasingly social. If Google has access to the information contained within social networks, it would seem natural for this data to become a stronger signal in search performance. Social network users are naturally curating the web, deciding what to promote to their followers and what to “like” or “+1”. It makes sense for a search engine to promote the websites that get shared across thousands of social media profiles as it acts as social proof of the search engines results. With Google+ now gaining traction and being integrated with search results, the search engine seems to have made the move into social instead of relying on companies such as Facebook and Twitter to provide data from the social web. This could provide Google with insight into which web content is popular and as a result should be returned as a search result. Obviously social media accounts are open to abuse and Google seem to have taken steps towards solving that problem already. Not only will the number of shares provide information on which pages to show in search results but the actual people who share the content will also be a factor. Social media accounts with thousands of followers and retweets are likely to hold much more weight than those with a handful. Google have recently been approved a patent named “Agent Rank” which illustrates Google’s push towards the social influence of the web. The patent indicates that Google will take into account the rank of an agent (social profile) and that the rank of the “agent” will influence the PageRank of the website they link to. Build Social Profiles or Not? It is unlikely that the value of the standard web link will ever completely disappear but as they are exploited so often by SEO agencies it seems that it will continue to diminish. Eventually the companies that don’t join the social web will be left behind by those that are frequently cited as a resource by influencers. 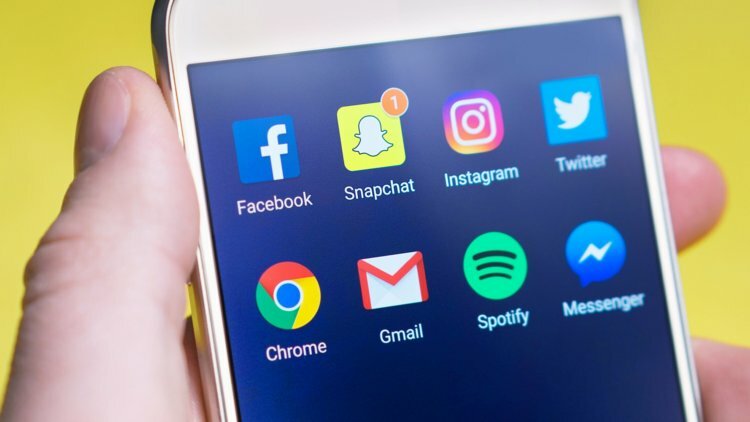 With the overshadowing fact that social media will inevitably play a much larger role in search engine ranking in years to come it makes sense to establish a strong social media presence today. For many companies this could mean setting up social profiles and establishing themselves as an authority or influencer within the industry. At the very least companies should network with those social media users that are already influencers within their industry as these relationships could provide significant value in years to come. « Is Your SEO Agency Delivering What It Should Be?